Grading is upon us. Come along for the challenge and get another grade in Krav Maga Global’s ranking system. Remember when you grade with us you are ranked in a system that is truly global. Check with your instructor to confirm your eligibility to grade. KMG PASSPORTS AND FULL UNIFORM ARE REQUIRED. 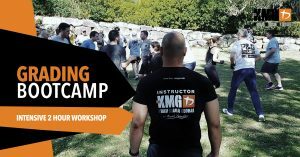 We are running a grading bootcamp on the 27th July 2019. Grading Bootcamps are designed to be an intensive workshop and training session where you can revise all of your material for your test. In addition, have dedicated instructors to assist you with your queries regarding techniques and tactics for the tests. Students that have attended the grading bootcamp have also performed well in their testing. Book your place via the form on this page. If you would like more information, feel free to contact us at info@kravmagaselfdefence.com.au. Should be the next grade you are attempting. 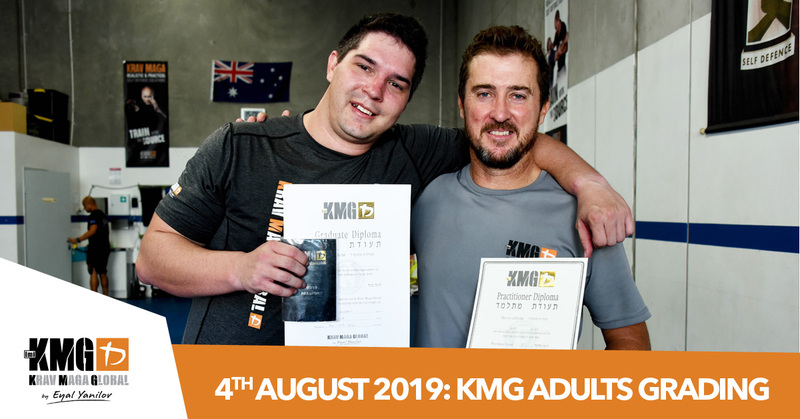 Adults Krav Maga Grading- Grading eligibility is dependent on minimum time and training volume since your last grading. Check with your instructor if you are not certain.